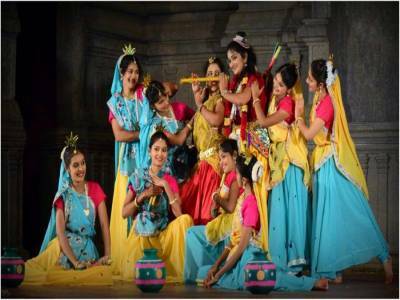 Raas Leela is an Indian dance emanating in the holy cities of Mathura and Vrindavan. It can be traced back to the Hindu sacred writings like the ‘Bhagavata Purana’. 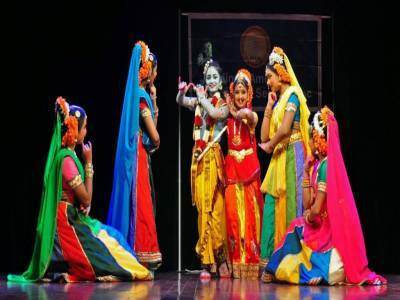 The raas leela has been immortalized by folklore where Lord Krishna dances with his love Radha and the gopis. Legend has it that children would dance and play along the banks of Yamuna, but slowly they grew bored of it and stopped one day. Lord Krishna was upset by this change as he was very fond of watching them, so he decided to play music by his flute. Such mesmerizing was his music that the young people joined him and started dancing around him. 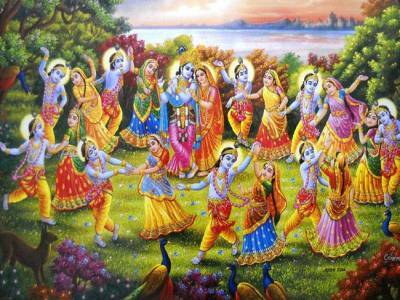 Radha and Krishna also danced with them and it continued for the night. Since then, it was known as Raas Leela and is immensely popular till this day. Many dance forms have integrated the Raas Leela in their style to tell this beautiful story. 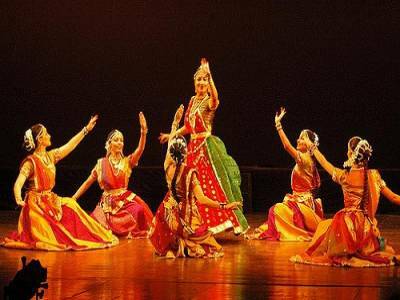 This divine dance has often been infused in Kathak, Bharatnatyam, Odissi and Manipuri dance forms. Raas Leela is sometimes enacted on Holi, as it was believed to be originally performed on the eve of Holi. While performing ‘Raas Leela’, costumes are worn similar to those that were worn in Vrindavan. Men generally wear a yellow dhoti and cover their bodies with heavy jewelry as well as a turban having peacock feathers, as was worn by Lord Krishna. Women, on the other hand, wear ghagra- choli and drape a dupatta. Soft, rhythmic and melodious songs are played with drums and cymbals to give a complete performance. It is presented on large gardens or halls with decorated mandaps. There are few institutes that train in this famous dance form. Raas Leela is also referred to as the ‘dance of love’, as it was first presented in Vrindavan with great purity and passion. 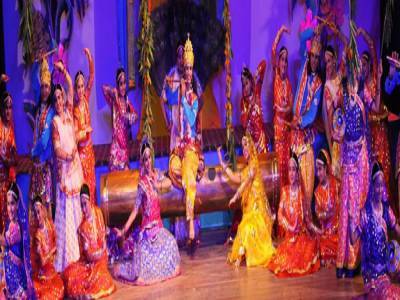 Get quick answers from travelers who visit to Raas Leela Folk Dance.